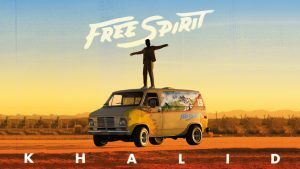 Khalid is bringing his Free Spirit tour to the UK and is hitting the SSE Hydro Glasgow on Friday 20 September 2019. The R&B stars debut album ‘American Teen‘ was a massive hit, gaining popularity by word of mouth and viral activity with tracks like ‘Young, Dumb and Broke‘, ‘18‘ and ‘Location‘ hitting the sweet spot with his legion of fans. His second album ‘Free Spirit‘ has just been released and it gives you plenty of time to get familiar with these new tunes ahead of the tour.